It is no secret I LOVE CHILDREN'S CLOTHING! I love finding the cutest outfits and dressing my children up. Before I had children, I never thought I would be THAT Mom that tried 10 different outfits on my babies just to take pictures of them and make sure they wore the outfit at least once (because we all know how quickly babies grow out of their clothes!). But I am! To me, the only thing better than a cute baby/child's outfit is an ORGANIC cute baby/child's outfit! And I am currently LOVING the super cute organic baby and toddler outfits I received from Sage Creek Organics! They seriously have one of the greatest and the cutest selections of organic clothing for both boys and girls! I love looking through their website and selections and I am always checking back in to see what new cute outfits and clothing they are offering! Sage Creek Organics is an organic baby and toddler clothing company, with products designed from 100% certified organic cotton. Sage Creek organic baby and toddler clothes & bedding are soft, stylish and most importantly safe. Designed from 100% certified organic cotton, they provide adorable, fun and stylish organic clothes. No pesticides, nickel free snaps and low impact dyes only. I received four adorable and super comfortable pieces of clothing for my children from Sage Creek Organics that are perfect for spring and summer! For my son, I received the Boys Organic polo w/anchor detail - midnight blue and the Organic boys cargo shorts - khaki in 3t to make the cutest and most handsome outfit! It is great for church, weddings, and other fun events this summer! The Polo is cool and provides a preppy look designed with 100% organic cotton pique. It is so soft and comfortable for my son to wear! It is the number one shirt I reach for anytime we are going somewhere nicer because I know my son will look handsome and be comfortable! 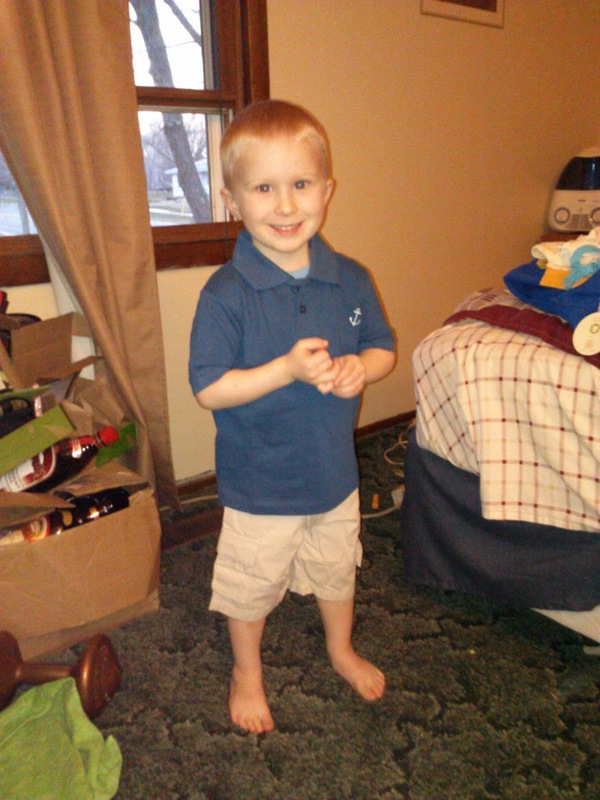 The organic boys cargo shorts in khaki are one of the best pairs of shorts my son owns! Why? Because he has such a skinny waist I always have trouble finding a pair that fits and he usually runs around constantly pulling up his pants or shorts! With these shorts, they will always fit snugly because not only do they have a great belt, but they also have an easy to use adjustable waist system so it ensure that they will grow with my son and always have a perfect fit! LOVE THAT! However, if I had to choose one outfit that I love the most it is the super cute romper I received for my daughter! The girls organic romper in sapphire provides a cool, yet comfortable fashion statement. This adorable romper is fashioned from 100% organic cotton jersey. 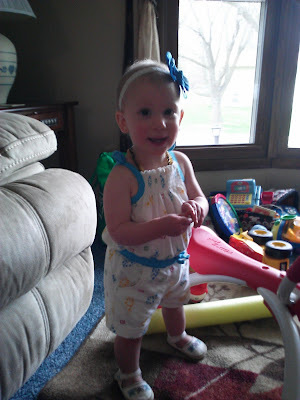 This outfit was SO CUTE on my daughter and I LOVE how easy it is to put on and how comfortable and cool my daughter was in this outfit on our first 90 degree day! And I have piece of mind that only safe, organic cotton is against her sensitive baby skin! And for night time she is super cute in the safari pj set - lion. These Lion PJ's are the perfect sleepy time companion for your precious little ones and they are crafted from the softest organic cotton. One of the first noises my daughter made is roaring lion noise! So I knew these jammies would fit her personality perfectly! They are so cute and so soft! I love cuddling her in these pajamas! So as you can see, Sage Creek Organics offers the cutest with the safest, organic cotton materials! You definitely don't have to sacrifice cuteness for safe fabrics! You get them both with Sage Creek Organics and I HIGHLY recommend their clothing! Buy It: You can purchase all these cute clothes (and SO MUCH MORE!) from the Sage Creek Organics website. Win It: Sage Creek Organics is generously offering (1) $20 gift certificate to a lucky winner!